The SHARE program – an evidence-based program developed by dementia experts through funding from the National Institute on Aging - provides families with a recent dementia diagnosis a straightforward and viable way to plan for future needs. SHARE empowers you as “care partners” to make thoughtful future care decisions, and live more fully with dementia. The SHARE Program helps partners better communicate with each other around values and preferences for care, make more-informed decisions about the type of care desired, expand a support network of family, friends, and community services, and set goals for participating in activities that enhance physical and emotional well-being. SHARE honors each person’s care values and preferences in order to build a strong network of support they can rely on now, and in the future. SUPPORT care partners and help them communicate effectively and plan for the future. Promote HEALTH and well-being, and decrease stress. Encourage participation in fulfilling ACTIVITIES. Learn about available RESOURCES that reflect care partners’ values and preferences. Provide EDUCATION about dementia and how to manage changes that lie ahead. The SHARE Program is a series of 5 weekly sessions (and an optional 6th family session). Each session focuses on a different topic area to help build your future care plan. In this first session, learn how SHARE will benefit you and your SHARE partner. Ask questions about symptoms, diagnosis, and what to expect. Take the first steps towards planning for the future by discussing care values and the role they play when making decisions. Your SHARE Counselor will provide strategies for enhancing communication. Discuss preferences for who would help if you and your SHARE partner needed assistance in the future. Are these preferences realistic, or are there other choices that you can consider? In this session, start the process of building your SHARE Plan and strengthening your network of support. The next important step in the SHARE process is to construct your SHARE Plan. The Plan reflects your and your SHARE partner’s preferences for who will help support you both should you need more assistance in the future. In this session, you will also begin to develop strategies for sharing your Plan with others and putting it into action. For you and your SHARE partner, being able to manage stress is vital to maintaining good health and well-being. In this session, talk about ways to stay engaged in healthy and pleasant activities. Strategize ways to support your and your SHARE partners’ activity goals. Make plans for a Family Session if one will be held. The SHARE Program offers you and your SHARE partner the opportunity to invite family and friends to participate in a Family Session. The session will allow you to discuss with family your SHARE Plan and the issues that are important to you both. Involving others will strengthen your partnership as well as your family’s support. In this final session, review your accomplishments and plan your next steps for accessing services and support. Review your SHARE Plan one last time, discuss any challenges you see in implementing it, and work out a strategy for maintaining, revising, and acting upon it. Please contact us to register or for more information on the program, and if it is a good fit for you and your loved one. There are advantages to early intervention. An early diagnosis allows both the diagnosed individual and the caregiver to express their feelings and preferences for care. Families can talk openly about the future and make decisions together, anticipating and planning for predictable challenges in care. Both parties are still able to communicate well, providing mutual support, and understanding the importance of balancing each other’s best interests. 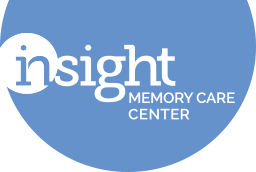 To register, or for more information on the SHARE program, please contact Christi Clark at christi.clark@insightmcc.org or Lindsey Vajpeyi at lindsey.vajpeyi@insightmcc.org. You can also call us at 703-204-4664. The cost for the full series is $300 per couple. "The Mind & Body Workshop has been a tremendous boon to us. Those of us who have been attending for some time have 'bonded' and feel like a kind of 'family.' Both caregivers and our loved ones look forward to attending."